No music and no Acropora, but this video shows an exceptional home “softie” coral tank with some huge, decades-old colonies. Watch for the Genicanthus pair that appears to be thriving in these surroundings. 240-gallon soft coral-dominated reef aquarium. Most corals were moved in to this tank in 2006 from other tanks. The oldest pieces are clones of a 30-year-old toadstool, most others are 8-10 years old. Fish currently in the tank: Yellowtail Damsel, Mystery Wrasse, Japanese Masked Angel pair, Banggai Cardinal, Marine Betta. 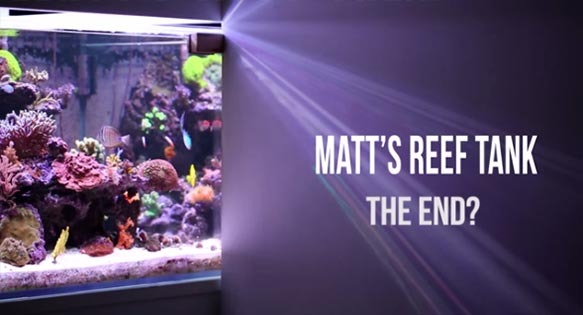 Matt’s Reef Tank Video Series - It's Back!